There are twelve spacious rooms at the Canopy Lodge, each with its own private bathroom. The rooms are located in two buildings, all with spectacular views of the gardens and rushing Guayabo River nearby – a truly serene natural setting! 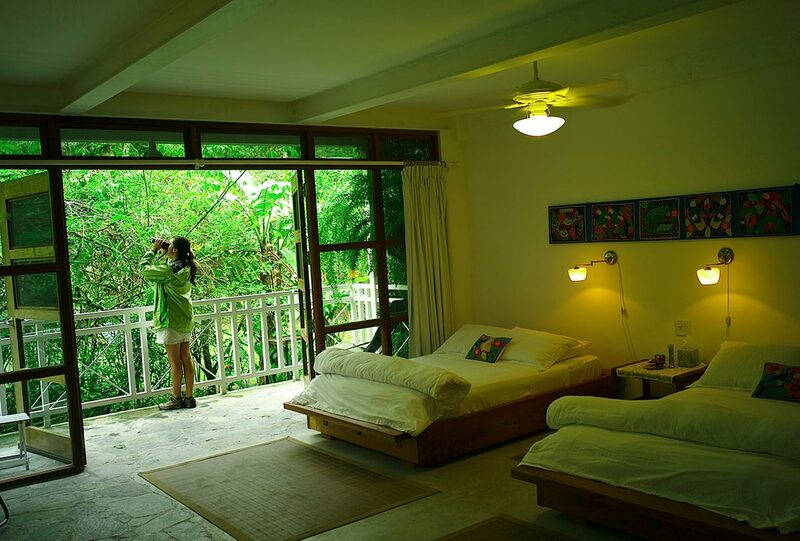 The main building has eight double rooms, each with a balcony overlooking the gardens and the stream (Rio Guayabo). Six of these rooms have two full size beds and two corner rooms (#4 & #8) have one king size bed. The rooms are quite ample and have lots of storage space, an overhead fan, a desk, reading lamps behind the bed and a towel warmer in the bathroom. You may very well spend a whole morning in the balcony watching the birds in the garden or reading a good book. The single room building is located adjacent to the main lodge (double rooms & corner suites). 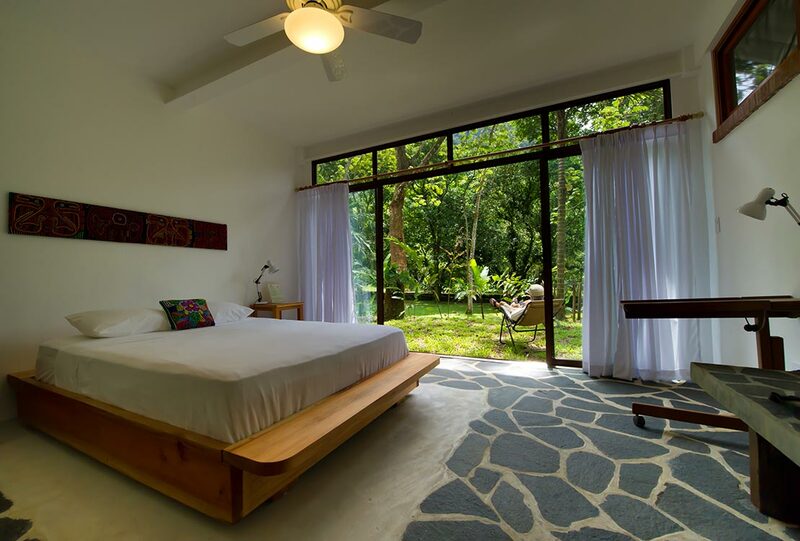 Each of the four single rooms has a large wall of windows overlooking the gardens and the stream (Rio Guayabo), private bathroom, ceiling fan, desk and chair, reading lamp, towel warmer and storage space. Prices are per person in US$ (+taxes), and include lodging, meals, wine with dinner and WiFi, and all tours as stated in the itinerary.